Do you remember the old catchphrase from a beloved cartoon, “What’s up, doc?” If so, then you will remember how much Bugs Bunny, the iconic Looney Tunes rabbit, frequently enjoyed carrots, and for good reason! They have a sweet natural crunch and numerous health benefits. Carrots are great alone, but if you are in the mood for something a little more exotic, you could try this fragrant and colorful dip recipe. It packs a real nutritional punch with its oranges, curry paste, organic plain yogurt, lemon juice and basil leaves. Carrots, oranges and lemon juice all contain loads of vitamin C, an antioxidant that helps protect against cataracts, boosts your immune system, and reduces the risk of various cancers. 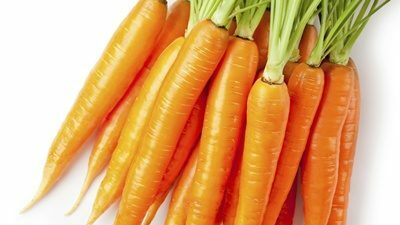 Carrots are a great choice because they contain an abundance of vitamin A which helps promote heart and lung health. Vitamin A is also a strong antioxidant and can help to protect against cardiovascular disease and the structure of the tissues around your lungs. This delicious spiced carrot dip serves up to four people. Serve with tortilla chips, whole-wheat crackers or fresh veggies (or all three!). Finely chop the onion, and peel and grate the carrots. Place the onion, carrots, orange rind and juice, and curry paste in a small pan. Bring the pan to a boil, cover and simmer gently for 10 minutes, until it is tender. Put the mixture in a food processor or blender, and mix until smooth. Let stand to cool completely. Next, pour in the yogurt, stir, and combine well. If you are vegan, a coconut yogurt could be a possible substitute. Tear the basil leaves into small pieces and stir them into the carrot mixture. Add the lemon juice, tabasco sauce, sea salt and pepper to the mixture. Be sure to serve within a few hours at room temperature. Before serving, garnish with grated carrot. Fraser, L., Best-Ever Vegetarian, The Definitive Cook’s Collection: Over 200 Mouthwatering Step-by-Step Recipes (Wigston; Anness Publishing, 2013), 43. Mateljan, G., The World’s Healthiest Foods: Essential Guide for the healthiest way of eating (Seattle: George Mateljan Foundation, 2007), 230, 236, 794. Brett, J., N.D., “Benefits of Vitamin C,” howstuffworks? website; http://health.howstuffworks.com/wellness/food-nutrition/vitamin-supplements/vitamin-c-benefits.htm, last accessed April 4, 2014.